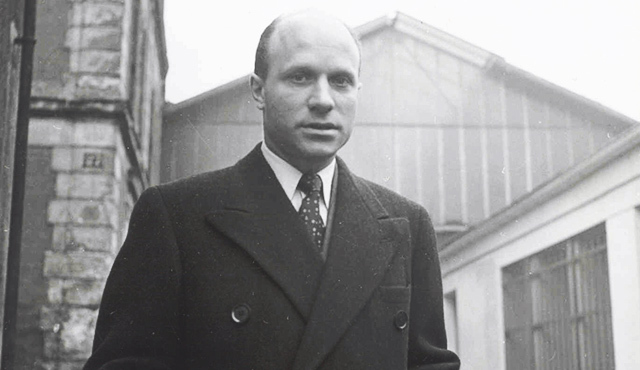 "BIC" is actually a shortened version of founder Marcel Bich's last name. Click here for a complete history of BIC. 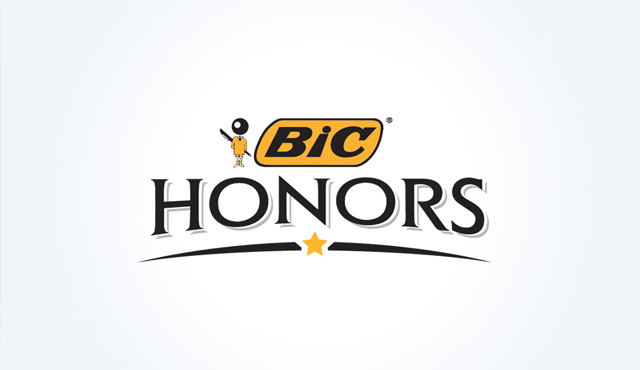 WHO IS THAT LITTLE GUY STANDING NEXT TO THE BIC® LOGO? That's the "BIC Boy." He was originally drawn as a school boy, with a head in the shape of a ball, holding a pen behind his back. BIC does not review any idea or concept unless it is protected through an intellectual property title (e.g., patent, utility patent, industrial design) that is either registered or otherwise officially published. If so, you may send your idea or concept with a copy of the official patent publication to BIC for review on a non-confidential basis. The address is below. Please send only publicly available information. Information disclosed to BIC will not be treated as confidential by BIC. BIC reserves the right to reply at its sole discretion only to concepts of interest. I AM INTERESTED IN HAVING MY COMPANY'S LOGO IMPRINTED ON YOUR PRODUCTS. WHO SOULD I CONTACT? 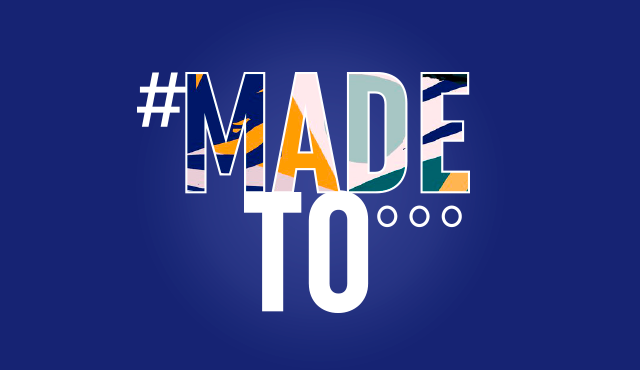 BIC Graphic Europe handles the imprinting of our products for Europe, Africa and the Middle East. You may visit BIC Graphic Europe's web site by visiting www.bic-graphic-europe.com. 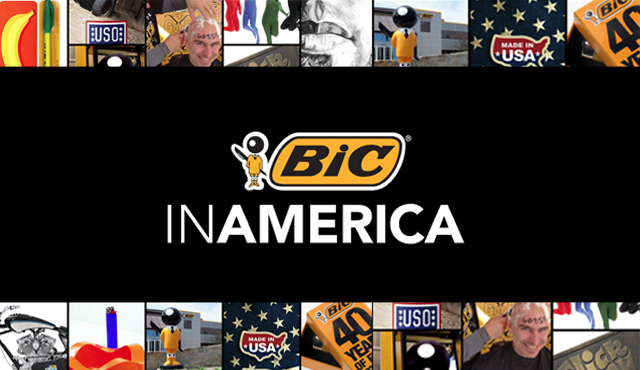 BIC Graphic USA handles the imprinting of our products for North, Central or South America. You may visit BIC Graphic USA's web site by visiting www.bicgraphic.com. I CANNOT FIND MY FAVORITE BIC® PRODUCT. CAN I BUY DIRECTLY FROM YOU? 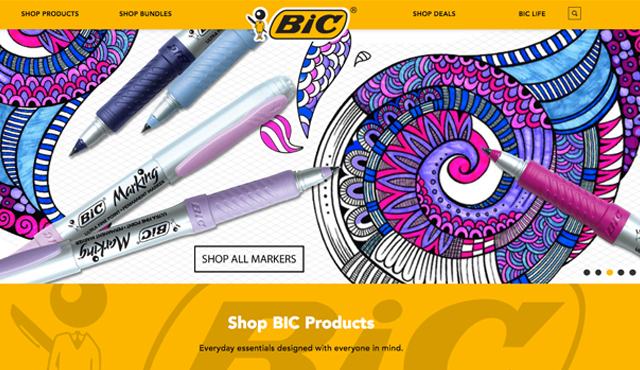 BIC does not sell its portfolio of products directly to consumers. Our products are sold in 4 million retail outlets worldwide, including grocery stores, pharmacies, mass merchandisers and stationery stores. However, if you are a U.S. consumer, you can purchase a selection of hard-to-find writing instruments, correction products and shavers directly from BIC by visiting www.shopbic.com. CAN I BUY STOCK IN YOUR COMPANY, OR IS IT PRIVATELY HELD? SOCIÉTÉ BIC is publicly traded on the Euronext Paris market. BIC shares are available to individual investors via their stock brokers. The stock is not traded in U.S. dollars, but in EUROS, the European monetary unit. Up-to-the-minute stock quotes are available in EUROS on BIC’s share price page. I AM INTERESTED IN BECOMING A DISTRIBUTOR OF YOUR PRODUCTS. WHAT DO I NEED TO DO? Click here to inquire about becoming an international distributor. 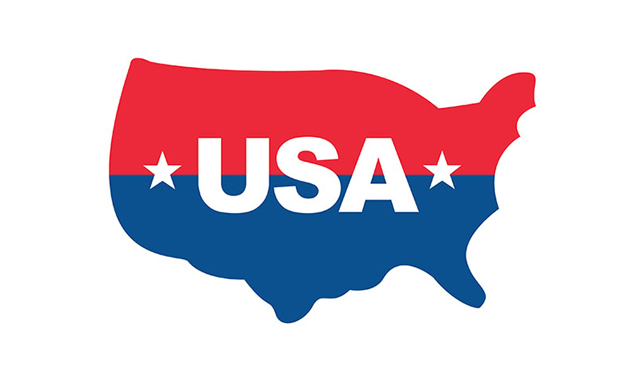 Click here to inquire about becoming a U.S. distributor. WHERE CAN I PURCHASE WRITING INSTRUMENT REFILLS? Refills are available at a variety of retail/stationery supply outlets. If you are a U.S. consumer, you can order select refills at shopbic.com. DO YOU SELL COMPONENT PARTS FOR YOUR PRODUCTS, SUCH AS THE PEN CAPS OR BARRELS? We do not sell component parts to any of our products. We only sell the finished goods. IS THERE A PROPER WAY TO STORE A BIC® PEN? It is not necessary to store a BIC® pen with its point facing down. However, we do recommend protecting the point when the pen is not being used. In the case of retractable pens, the point should be retracted when not in use, and pens with caps should also be protected after each use. WHY IS THERE A HOLE IN THE BARREL OF BIC® CRISTAL® PENS? The hole on the barrel creates the same level of air pressure inside and outside of the pen, allowing the ink to flow into the point. This is called a “venting system.” Some ballpoint pens may have less visible venting systems, for instance, close to the point of the pen. WHY IS THERE A HOLE IN SOME WRITING INSTRUMENT'S CAP? The reason that some BIC® pens have a hole in their cap is to prevent the cap from completely obstructing the airway if accidently inhaled. This is requested by the international safety standards ISO11540, except for in cases where the cap is considered too large to be a choking hazard. DO YOU SELL LEADS FOR YOUR MECHANICAL PENCILS? In some countries, we offer certain mechanical pencils with replacement leads included in the package. You can also visit your local stationery store for generic lead refills in the size you need. If you are a U.S. consumer, you can order BIC lead refills at shopbic.com. DO YOU SELL ERASERS FOR YOUR MECHANICAL PENCILS? In some countries, we offer certain mechanical pencils with replacement erasers included in the package. HOW LONG WILL A BIC® PEN WRITE BEFORE IT RUNS OUT OF INK? Each BIC® ballpoint pen produces more than 1.2 miles (2 kilometers) of writing. CAN I STILL FIND THE SILVER BIC® CRISTAL®? The Silver BIC® Cristal® was a limited edition pen only manufactured between 1989 and 1992 and is no longer available. All BIC® Lighters meet or exceed ISO 9994 international safety standards. 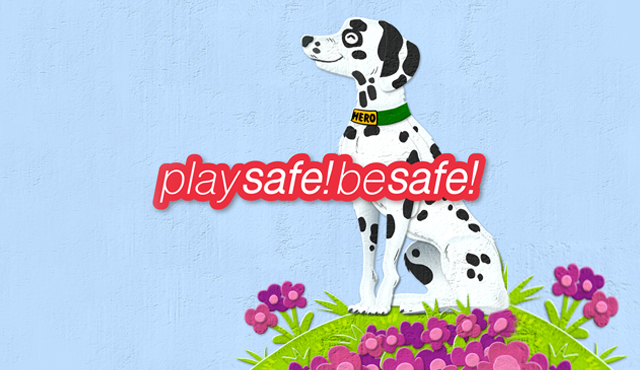 In addition, all BIC® Lighters sold in the European Union, North America, Mexico, Australia, New Zealand, Japan and South Korea are child resistant. However, as with any lighter product, keep and store this product away from children. No lighter is child-proof. There is no substitute for proper adult supervision. 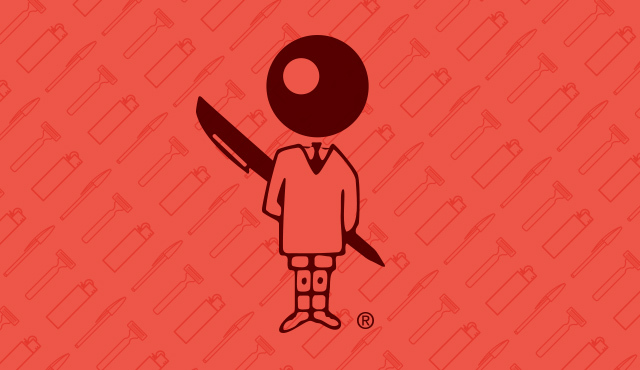 All BIC® lighters (pocket and multi-purpose) are non-refillable. Consumers are strongly advised to follow all warnings and instructions that accompany every BIC® Lighter to ensure proper use and performance of the lighter. Tampering with the lighter, or using the lighter in any way other than for its intended use, may affect either the quality or safety of the lighter. For any further questions, please contact us by clicking here. Warning: BIC recommends using extreme caution regarding videos and other documents that may be found on the Internet, or elsewhere, about the use of lighters – BIC brand or otherwise. The availability of BIC® lighters varies by country. They are sold in convenience stores and tobacco shops, as well as in supermarkets, drugstores and discount stores. If you are a U.S. consumer, you can order select BIC® Lighters directly from BIC on www.shopbic.com. DO I REALLY NEED CREAM OR GEL TO BE WELL SHAVED? Yes, they help give you a more comfortable shave. Applying a cream or gel before shaving moistens your skin and softens and lifts hairs for easier shaving. HOW LONG CAN I USE THE SAME RAZOR? This varies according to your skin and hair type, but on average, you should be able to use your razor for about a week. Some people will have to change their razor every couple of shaves, while others can get up to 15 shaves from one razor. Thicker hair can cause the blades to dull more quickly, while lighter, finer hair has less impact on the blade. WHAT IS THE IDEAL DIRECTION FOR SHAVING? You should always shave in the direction of hair growth (not against the grain). Shaving in the opposite direction may inflame and irritate your skin. Remember to shave carefully with short, controlled strokes in hard-to-reach areas. HOW CAN I PREVENT MY SKIN FROM FEELING DRY AFTER SHAVING? Avoid using soap for shaving, as this can dry skin. Apply a shaving cream or gel before shaving to soften skin and lift hairs. After shaving, apply a moisturizing cream to lock in moisture. I HAVE SOME SENSITIVE SPOTS ON MY FACE. HOW CAN I AVOID THEM WHILE SHAVING, WHEN THE SHAVING CREAM COVERS THEM UP? Consider using a “transparent or translucent” shaving gel that is available in some countries. ARE YOU STILL MANUFACTURING THE BIC® ORIGINAL RAZOR? The BIC® Original razor is still offered in some markets. However, it was discontinued in the U.S. in March 2007. If you prefer a single blade shaver, we suggest our BIC® Sensitive razor or BIC Lady razor. ARE YOU STILL MANUFACTURING THE BIC® METAL RAZOR? The BIC® Metal Razor is still being manufactured. It is distributed in some countries of Europe, Middle-East and Africa. If you are a U.S. consumer, you can purchase the BIC Metal Razor directly from BIC at www.shopbic.com. WHAT TIPS DO YOU HAVE FOR REMOVING BALLPOINT PEN INK? ROLLER, GEL OR HIGHLIGHTER INK? DRY ERASE INK? - For Ballpoint and Marker inks, we recommend an alcohol-based hair spray. The alcohol content in the hair spray will break up the ink. If the ink is on clothing, saturate the item with hair spray. Be sure to place an absorbent paper towel or rag under the stain to catch the excess ink. You then need to blot the stain with a rag. Repeat this process until the stain is removed, then launder as usual. If the ink is on anything other than clothing, spray the hair spray directly on the stain and then wipe off with a clean paper towel or rag. You might need to do this a few times depending on the size of the stain. - For Roller and Brite Liner inks, we recommend an all-purpose cleaner instead of hair spray, as these inks are water-based. If the ink is on clothing, saturate the item with the all-purpose cleaner. Be sure to place an absorbent paper towel or rag under the stain to catch the excess ink. You then need to blot the stain with a rag. Repeat this process until the stain is removed, then launder as usual. If the ink is on anything other than clothing, spray the all-purpose cleaner directly on the stain and then wipe off with a clean paper towel or rag. You might need to do this a few times depending on the size of the stain. An important word of caution before trying any of the methods suggested: some surfaces and fabrics may be damaged by the hair spray solution or all-purpose cleaners. If in doubt, test on a "hidden" area first and follow the manufacturer's directions. - Dry Erase Ink - Can be wiped off dry wipe surfaces with a clean paper towel or rag. If the ink is on clothing, pre-wash the item as soon as possible and then launder as usual. - For All Inks - If the steps above do not remove the stain completely, we suggest contacting a professional cleaning company or the manufacturer of the stained item. They may have other suggestions or be able to professionally remove it for you. DO YOU HAVE ANY ADVICE ON HOW I CAN REMOVE TIPP-EX®/WITE-OUT® CORRECTION FLUID STAINS OR SPILLS ON CLOTHING, FURNITURE, ETC.? After the Tipp-Ex® / Wite-Out® correction fluid dries, scratch most of the spill off with your fingernail or the edge of a coin. Tipp-Ex® / Wite-Out® correction fluids can be removed from your hands with an abrasive soap or a soap containing pumice. Tipp-Ex® Aqua/Wite-Out® Water-Base correction fluids are water-based and should come out with soap and water in the washing machine. If you prefer to go to the dry cleaner, tell them it is a water-based paint. The following Wite-Out Brand formulas are petroleum-based: Quick Dry, Extra Coverage, Super Smooth, Cover-it and the Wite-Out Brand Shake ‘n Squeeze correction pen. Mineral spirits or citrus-based cleaners will dissolve these correction fluids. If you have spilled one of these formulas on clothing that is "dry clean only," tell the dry cleaner that it is a solvent-based paint so they can treat the stain accordingly. A word of caution before trying any of the methods suggested: mineral spirits can take out color and/or ruin varnish. If in doubt, test on a "hidden" area first. If you decide to try a citrus-based cleaner, please follow the manufacturer's directions on the label carefully and also test on a "hidden" area. If this does not remove the stain completely, we suggest contacting a professional cleaning company or the manufacturer of the stained item. They may have other suggestions or be able to professionally remove it for you.